Many girls may be looking for a knight in shining armor, but have you checked how hard it is to get yourself knighted these days? Sure, for guys like Sirs Ian McKellen and Patrick Stewart, it looks a piece of cake, but the average bloke just doesn't have a shot! So, unless you happen to know where the last un-slain dragon in the world is hiding out and you manage to go slay it (which sounds really dangerous, and a little uncool, to be honest), you're probably out of luck. 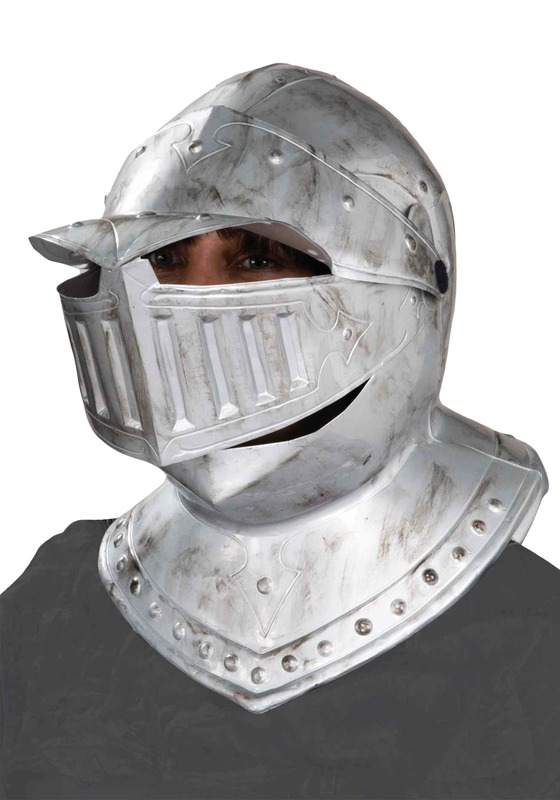 Luckily, you don't need to have a fancy title to wear a cool knight's costume, and this Deluxe Knight Helmet is a dashing look to behold! Instead of heavy, clunky steel, this headpiece is made of plastic that's been molded and painted to look like metal. 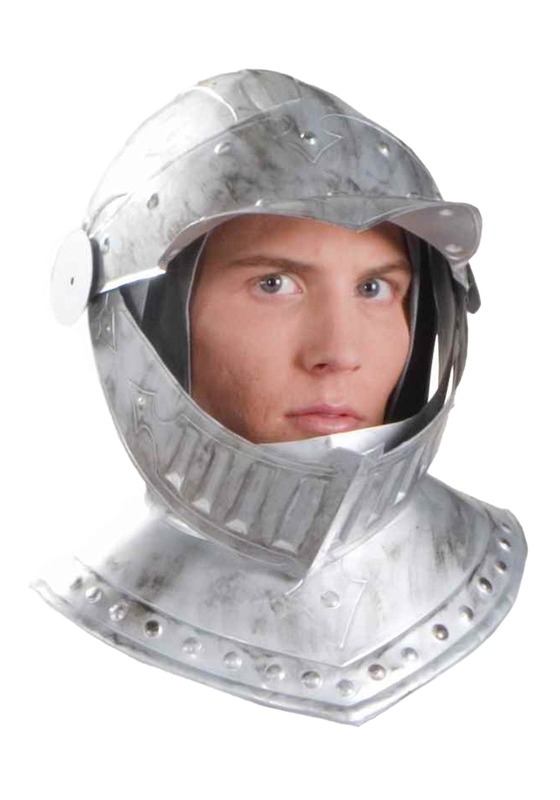 It makes a great addition to medieval and renaissance era costumes, or just for looking gallant and chivalrous for any fair maidens!